New Arby’s Location Opening Soon in Appleton, WI- December 12! A brand new Arby’s is currently being build at 473 West Calumet Street in Appleton, WI! This location is set to open on December 12 with a Grand Opening Celebration January 10- 12. 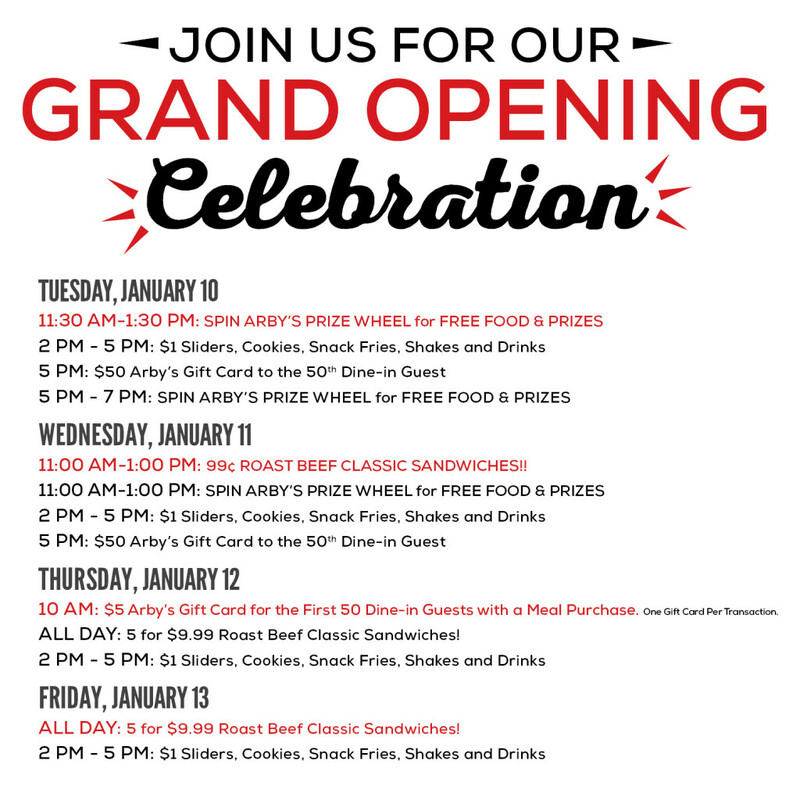 Be sure to join us for prizes and specials on your Arby’s favorites!